The RH Mereo chair is a task chair designed to give everyone a sitting experience as if it was custom made. It is easily adapted for everyone, whatever your size or shape. RH Mereo is crafted to merge with you - even if you lean forwards and backwards on the chair the small vertical movements of the seat prevents pressure on the thighs, stimulating your blood circulation and minimising tensions. The 2PP™ dynamics bring active sitting to one and to all, all you have to do is sit down, adjust the chair to your body and enjoy smooth and frictionless movement, placing you in a perfect work mode, all day, everyday. The RH Mereo 200 has a medium back and comes as standard with castors for carpeted floors and base in grey lacquered aluminium. It can also be enhanced with a range of options such as armrests and coat hanger. 2PP™ Active sitting - Contemporary workplaces become more and more sedentary. To endure long hours it is essential to be able to move while sitting. 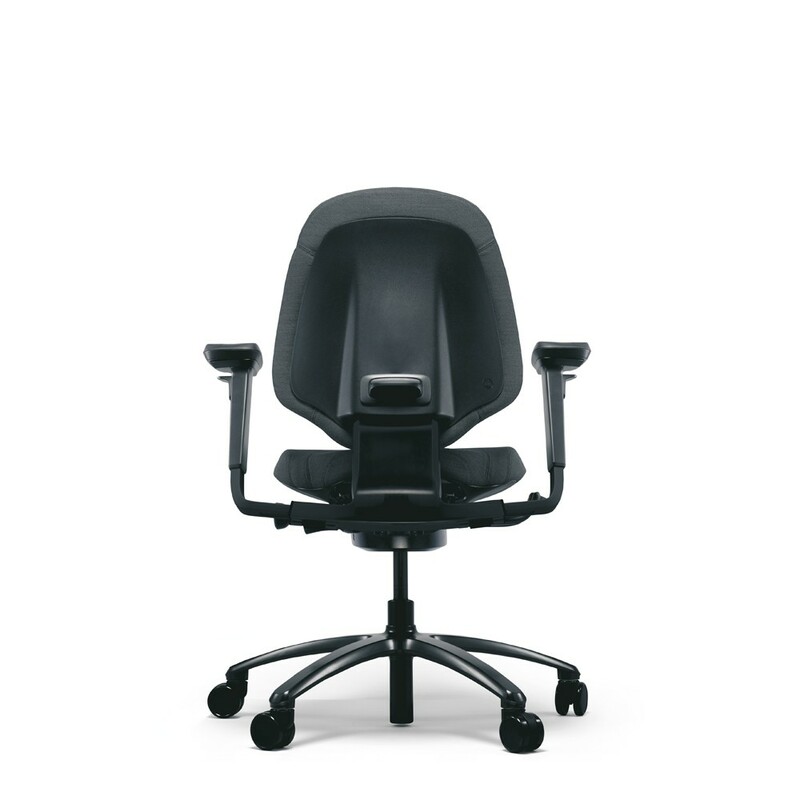 RH is passionate about ergonomic dynamics and active sitting. Every RH chair is equipped with high technological engineering ensuring you always sit right and move right. Tilt Mechanism - RH is advanced ergonomics made easy. Intuitive adjustments fused with 2PP™ dynamics responds to your slightest movements. Back height & lumbar support - Excellent support for the entire back in upright sitting posture. 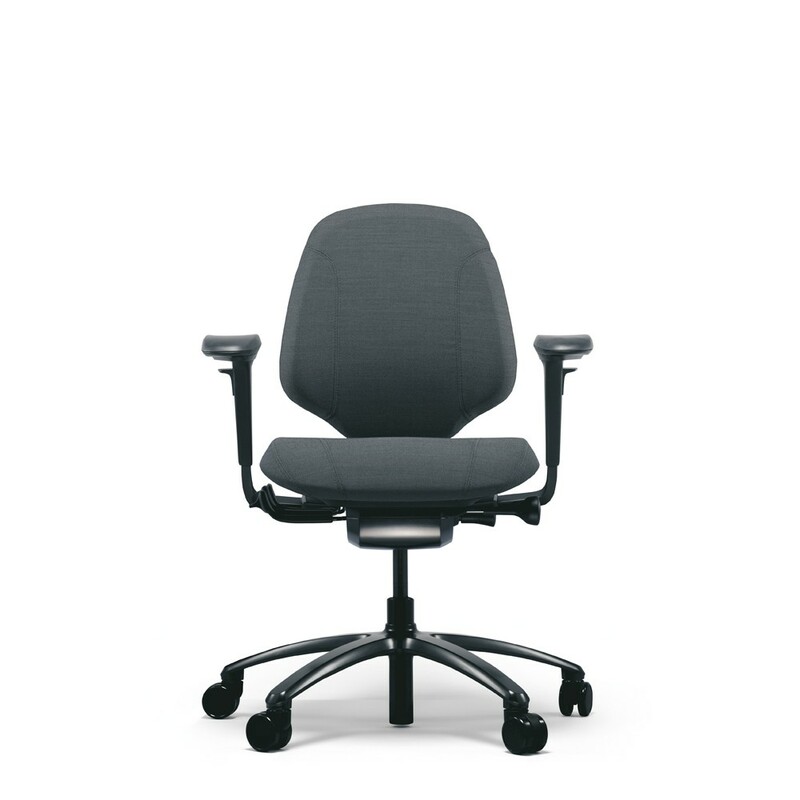 A distinct waist and curved back with clear lumbar support. The soft curve supports the whole back in an upright posture, giving arms and shoulders freedom to move. The tvedt cushion between the shoulder blades stimulates an open posture, increasing oxygen flow around the body. Adjustable parts include: height of the chair, seat depth, tilt resistance and backrest height. If you choose to upgrade, the armrests are are also adjustable. Sculpted waterfall seat - RH Mereo is designed to merge with you to provide you with optimal support. the waterfall seat reduces pressure on the thighs and minimises knee movement when tilting. The rear edge is raised to orientate the pelvis in the correct position. A Coat Hanger is also an optional extra. The coat hanger is user-friendly and easy to retrofit. There is a row of 3 tabs on the right hand side of your Mereo 200. Lift the button furthest back to adjust the backrest angle. Release the tab to lock in place. The angle should be set so that your back makes contact with the backrest. Pull up the first paddle on the left hand side of your Mereo 200 and adjust the seat to a position where you are comfortable. Release the tab to lock in position. About four fingers width between the front edge of the seat and the hollow of the knee provides good blood circulation. There is a tilt lock on the right hand side of your Mereo 200. Push the handle forward to lock the chair. To unlock, simply pull the handle backwards.